Back in April 2015 the Dominion Post ran a story on the boutiques of Berhampore which focused on the 1st anniversary of a handful of new businesses in the area. The various business owners who were interviewed, including my partner, spoke optimistically about being “a collection of people here all trying to do the same thing” and how they hoped for Berhampore to develop a greater sense of identity. Two things specifically mentioned were getting some ‘Welcome to Berhampore’ signage and a 30 kph speed limit.Three years later things haven’t exactly gone wrong but it’s hard to see how they’ve really progressed either. At least four of the businesses mentioned in the story have now gone out of business or moved on. The Gooseshack, Rinski Korsakov’s, Celie’s and the tattoo parlour are all gone. The only dairy on that stretch of road has also closed and the building is currently for sale. Natty, Baker Gramercy, Baron Hasselhoff’s and Adelaide Trading Co. are still going strong and doing their best to maintain a local, artisanal vibe while older, more established businesses Europe Modes Tailoring, Hair by Ange and the Golden Sun Takeaways keep doing what they do. The BP petrol station sells petrol. A 30 kph speed limit was implemented in early 2016, not that it seems to have made much difference. No sign of any signage yet, unless you count the 30 kph one. To be brutally honest, and with the benefit of hindsight, dropping the speed limit and putting up some signs fall woefully short of what Berhampore really needs to carve out its own identity. 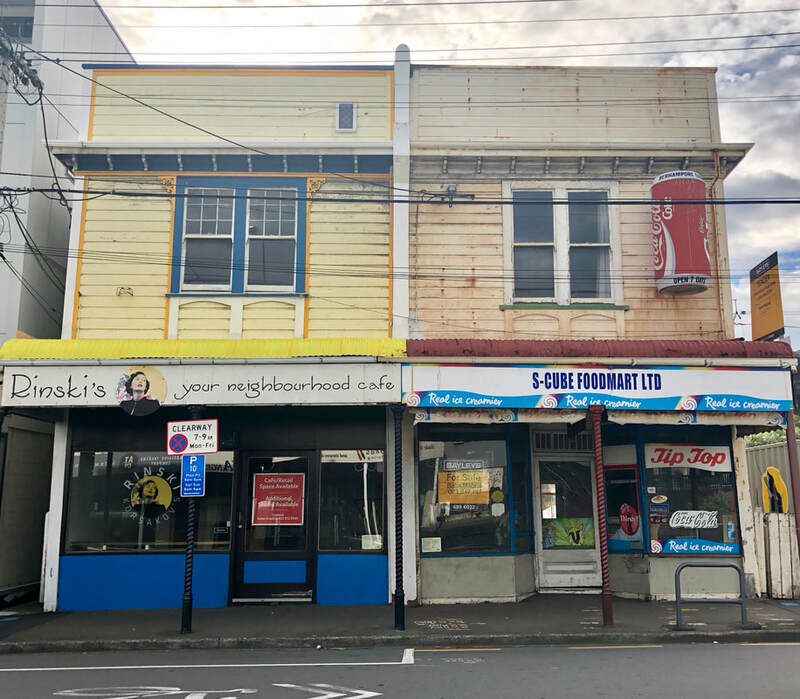 Even Berhampore’s own residents describe it as a “forgotten, in-between suburb” which is seen as “that place you go through to on the way to Island Bay, or just part of Newtown”. Berhampore actually has a rich and interesting history and is genuinely one of Wellington’s up and coming suburbs but it suffers from one huge issue that is going to take some imagination and determination to overcome: it is an absolute traffic hellhole, especially the narrow stretch where the Adelaide Road shops are. Here’s the problem. 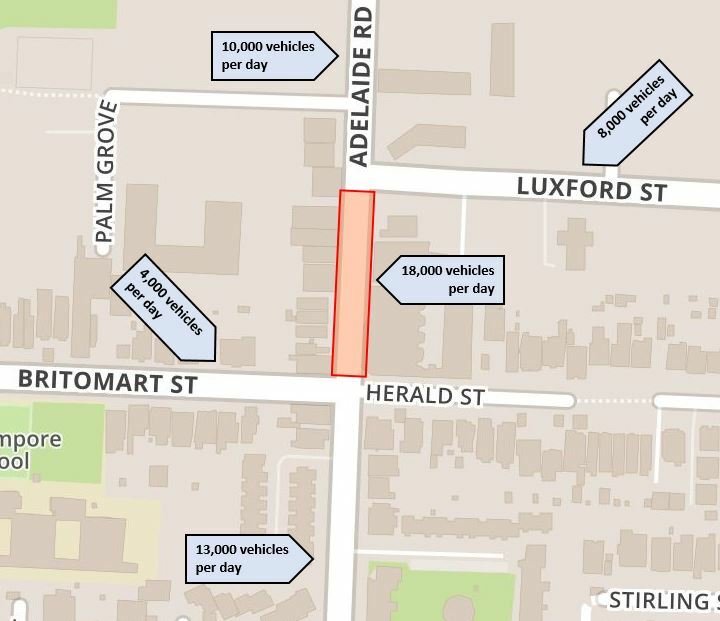 There are 18,000 vehicle movements a day through the 100m long, 10m wide stretch of Adelaide Road between Britomart Street and Luxford Street. For comparison, around 10,000 vehicles per day move through the Island Bay shops (and there’s 14m of road width to work with). The problem is that Adelaide Road is a major arterial and the characteristics of the surrounding streets mean that the 100m stretch between Britomart and Luxford is a classic bottle-neck. It has to deal with far more traffic than it was ever intended to and a lot more traffic than the other sections of Adelaide Road immediately to the north and south. There is no way you would ever deliberately set out to design what’s happened in Berhampore. ​From the point of view of a business motor vehicle traffic is good, until it is very, very bad. Business owners like cars because they bring customers from far and wide to their business. 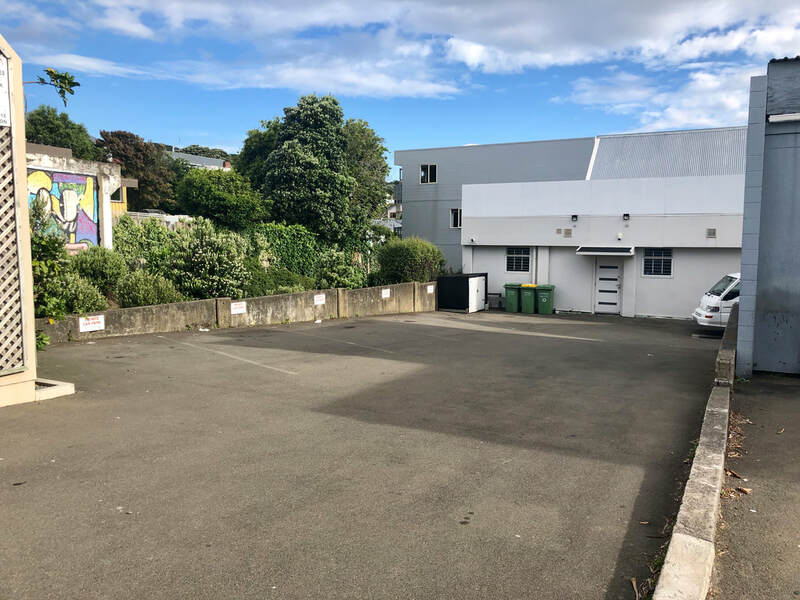 As long as there is somewhere to park, of course, and there’s not much parking near the Berhampore shops (approximately 10 car parks on that stretch, 5 x P10 and 5 x P60). However, there’s a tipping point where there’s simply too much traffic, the carparks are full and the sheer volume of traffic is ruining the attractiveness of an area, maybe even making it dangerous. Businesses tend not to want to lose motor vehicle traffic and carparks though because it takes a leap of faith to believe that customers arriving by other modes will pick up the slack (despite an increasing body of evidence that they will). Part of the problem might be that businesses don’t tend to be open at the times when traffic is at it’s worst, when commuters are trying to get to and from work and kids are trying to get to school. As a result businesses may genuinely believe the problem is not as bad as it is. One thing is for certain though, the Berhampore shops just aren’t humming at the moment. Despite the optimism shown in 2015 there’s too many empty shops and too many businesses failing. Something needs to change.Notice I haven’t even mentioned cycleways yet? OK, here it comes. The current Newtown Connectionsconsultation is great but one of its limitations is that it’s largely focused on cycling and “making biking safer and easier for more people”. I think the reason for that is the usual boring legal and administrative stuff. Councils have appropriations of money to do certain things. They are legally obliged to spend money on the things they say they will and then report on it. If ‘cycling’ is one of those things then a consultation on spending that money gets framed as being about cycling, when maybe it could or should be framed as about transport or urban design. 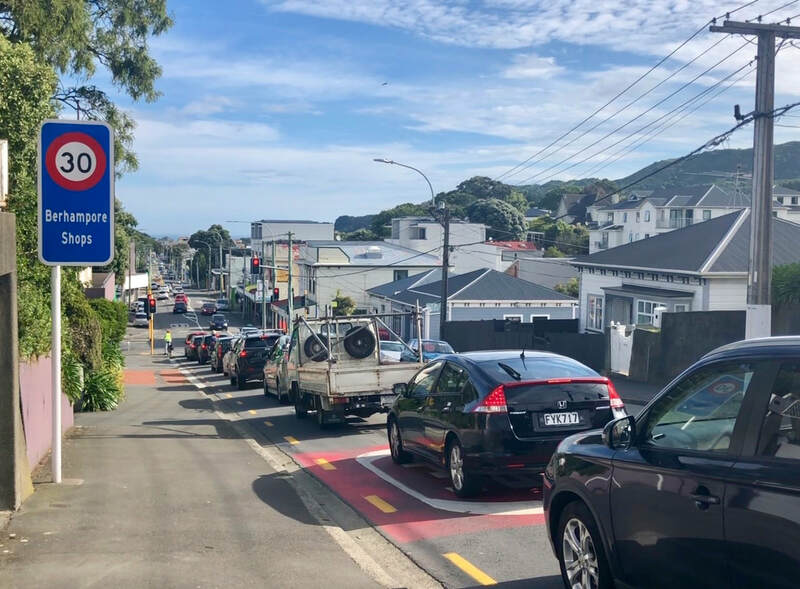 Making biking safer and easier for more people is a very worthy aim but it’s really just one part of the picture when you are looking at a problem as tricky as the one facing the Berhampore shops. Berhampore doesn’t need a discussion about cycling as much as it needs a discussion about transport. And it doesn’t need a discussion about transport as much as it needs a discussion about identity. What does Berhampore want to be? Only then can we explore how transport can help it get there. ​And what about the last general election? Berhampore is much more progressive than its neighbour to the south Island Bay and maybe even a little bit more progressive than its neighbour to the north Newtown. A 26% party vote for the Greens is easily one of highest in the country. At the 2014 general election the Green Party actually won the party vote in Berhampore with 35% against Labour’s 32% and National’s 22%. These are just my thoughts and I’m sure there are many other things that could be done, both large and small. Of course, the most immediate thing for residents and businesses to do is participate in the current Newton Connections consultation in an open-minded, optimistic and constructive way. Don’t be fooled by the fact that it is notionally a consultation about ‘cycling’. Newtown Connections is paving the way for a potential $32m investment into the Southern Suburbs. That’s a lot of money and it represents a once in a generation opportunity to fundamentally change the urban design of Newtown and Berhampore for the better. Is your suburb clear on who and what it is? Or does your community end up having those conversations, poorly, through consultations about this and that bit of the built environment?